Marketing scholar Jagdish Sheth, global health and nursing leader Leila McWhinney-Dehaney and international admissions recruiter Scott Allen have been selected as the 2012 recipients of the prestigious awards presented each year by Emory's Office of International Affairs. Sheth, McWhinney-Dehaney and Allen will be recognized during International Awards Night on Nov. 12 at the Emory Conference Center Hotel. "Emory is proud to recognize the unique contributions of these three individuals whose selfless generosity and remarkable accomplishments foster engagement with global issues," says Holli Semetko, vice provost for international affairs and convener of the three selection committees. Sheth will receive the Marion V. Creekmore Award for Internationalization, given to an Emory faculty member who advances understanding of international and global issues through teaching, scholarship or other work for the university. 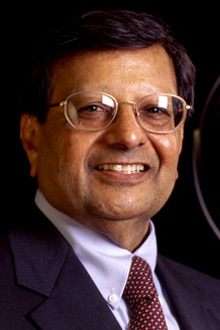 The Charles H. Kellstadt Distinguished Professor of Marketing at Goizueta Business School and the founder of the Center for Relationship Marketing (CRM), Sheth has made significant contributions to the academic literature in marketing and business strategy over the past 50 years, with more than 200 books and journal articles. He has given more than 1,000 presentations in at least 20 different countries. Born in Burma (now Myanmar), Sheth and his family returned to India following the Japanese invasion of Burma in 1941. Sheth was educated in Madras (now Chennai) before arriving in the United States, and has since become a pioneer in forging stronger ties between India and the United States. He founded the India China America (ICA) Institute in 2004, helped bring an Indian consulate to Atlanta earlier this year and serves as an advisor to the governments of India and Singapore. His most recent books, "Tectonic Shift" and "Chindia Rising," further established him as a leader in building relationships among economic giants. In his 21 years at Emory, Sheth has been active in several strategic committees; created the Sheth Family Foundation, which funds portions of business doctoral students' thesis research; established the annual Sheth Lecture in Indian Studies; endowed the Sheth Distinguished International Alumni Award; and participated in major projects within the greater Atlanta community, including efforts to attract investment and jobs. "Jag Sheth's career provides a stellar example for Emory and for higher education faculty broadly," says university President James Wagner. "He has shared his seminal research through academic books and the trade press, has advised governments and international corporations, and has excelled in the classroom as a teacher. What is more rare is that his extraordinary professional gifts are matched by his wonderful personal qualities as a mentor, friend and citizen of Emory." McWhinney-Dehaney will receive the 2012 Sheth Distinguished International Alumni Award, which recognizes Emory's alumni who have distinguished themselves on the international stage in service to universities, governments or in the private sector. 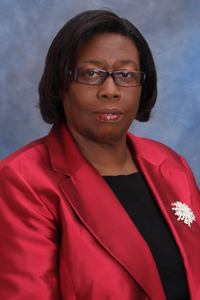 With 38 years of experience as a registered nurse midwife in Jamaica, McWhinney-Dehaney has long been involved in the dialogue on the health sector in Jamaica, the Caribbean and the rest of the world. She now serves the international nursing and midwifery professions as chief nursing officer for Jamaica's Ministry of Health, a member of the World Health Organization's Global Leadership Collaborative and a member of Sigma Theta Tau International. She has been an active advisor to a major research initiative at the University of West Indies School of Nursing to strengthen nurses' capacity for HIV policy development in sub-Saharan Africa and the Caribbean. "Dr. McWhinney-Dehaney is an extraordinary clinician, educator and researcher who epitomizes nursing at its finest," says Linda McCauley, dean of Emory's Nell Hodgson Woodruff School of Nursing. "She has undoubtedly advanced Emory's international footprint as an alumna. Her extraordinary commitment to nursing is awe-inspiring, and I am confident she will be recognized in the future as an international nursing legend." McWhinney-Dehaney earned her Ph.D. from Emory’s nursing school in 2006. Allen will receive the 2012 International Outreach Award, the first of its kind to recognize Emory staff with a commitment to the internationalization of the university. Through his position as senior associate dean and director of international recruitment for Emory College's admissions office, Allen has been a pioneer of international growth. Since developing the college’s first international recruitment initiative, he has continued to cultivate new and improved strategies for promoting Emory to students and counselors in more than 75 countries. Emory’s international undergraduate population has grown by 88 percent during the last five years. 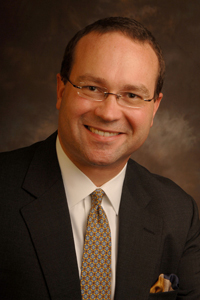 Allen also is a member of the Council of International Schools (CIS), the European Council of International Schools and the Overseas Association of College Admissions Counselors, as well as a liaison with China for the Council for American Culture and Education. "All told, Scott's international outreach and recruitment efforts have made Emory a more diverse, culturally vibrant campus, and a globally prominent institution," says John Latting, dean of admission. The International Outreach Award was created this year to recognize professional staff who have made significant contributions to Emory's internationalization through the programs, schools and units in which they serve, and who also extend Emory's reputation by contributing their expertise to international professional networks in their respective fields of research, teaching and higher education. To learn more about the awards or to submit a nomination, visit international.emory.edu/awards.